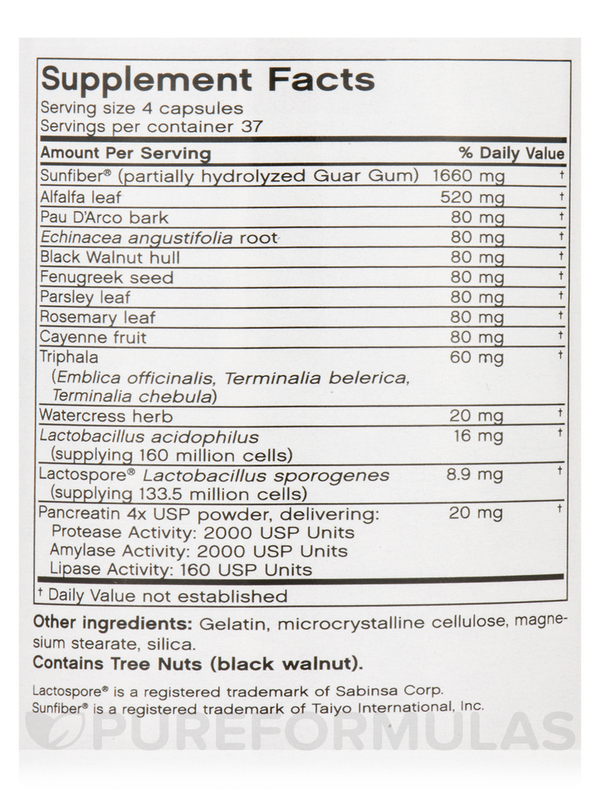 Colon Green® is a comprehensive colon care formula that contains Sunfiber® Guar Gum. Sunfiber® is an all-natural‚ soluble dietary fiber from partially hydrolyzed guar gum that absorbs liquid and turns to gel during digestion and adds more bulk to the stool. The gel helps provide gentle and effective bulk cleansing to the gastro-intestinal and bowel systems. 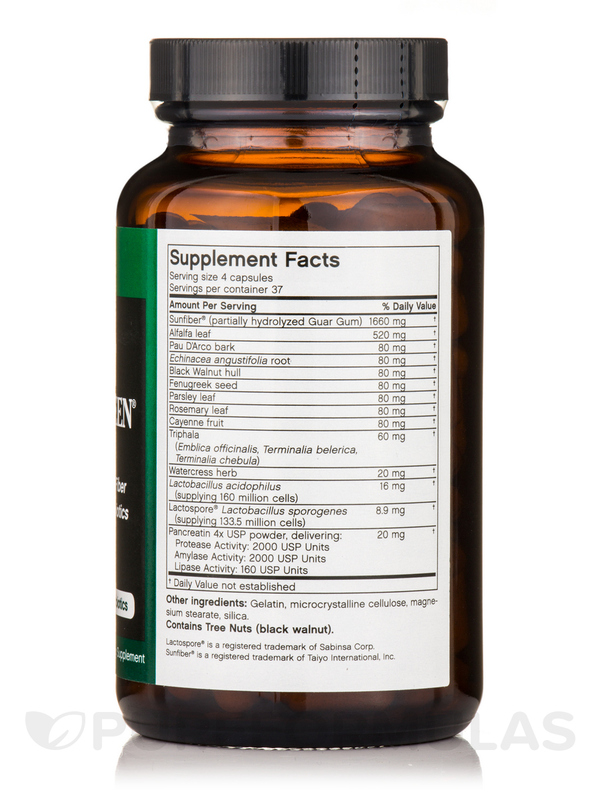 Each 4-capsule daily dose of Colon Green® provides approximately 1.66 grams of fiber. Probiotics are of key importance in supporting upper and lower intestinal health by helping to promote the growth and balance of healthy intestinal flora. Colon Green® combines the benefits of Lactospore® and Lactobacillus acidophilus probiotics‚ which together supply approximately 293 million friendly probiotic cells per daily dose. 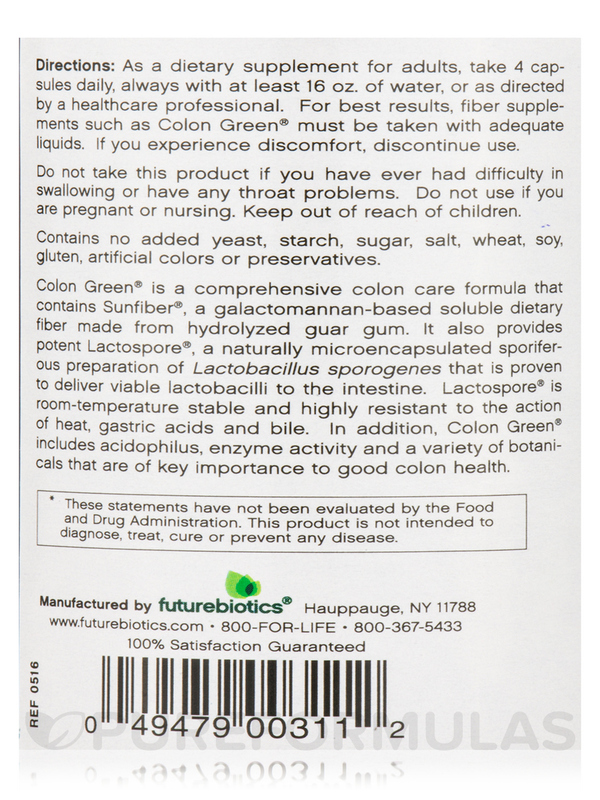 Lactospore® is a naturally microencapsulated sporiferous preparation of Lactobacillus sporogenes that is proven to deliver viable lactobacilli (friendly bacteria organisms) to the intestine. Lactospore® is room-temperature stable and highly resistant to the action of heat‚ gastric acids and bile. 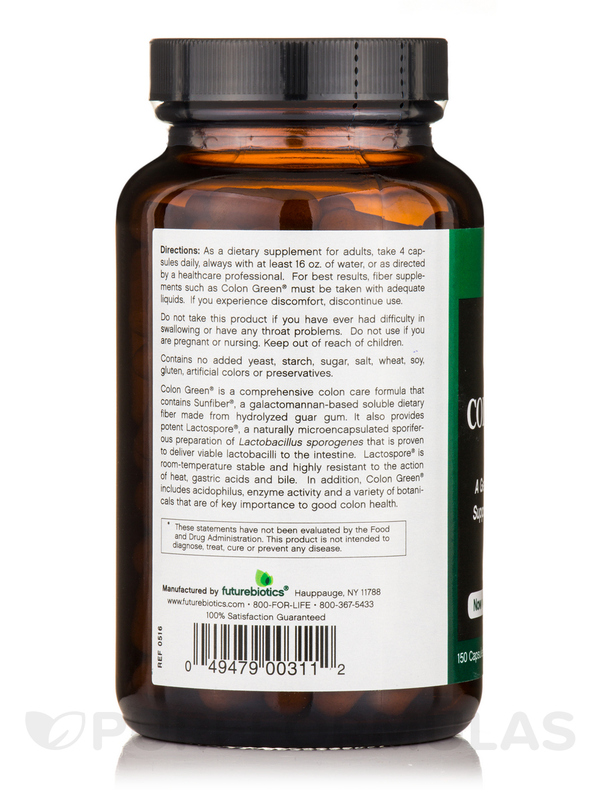 In addition‚ Colon Green® features lipase‚ protease and amylase digestive enzyme activity‚ along with an effective botanical blend that supports and protects colon and intestinal health. Other Ingredients: Gelatin‚ microcrystalline cellulose‚ magnesium stearate‚ silica. Contains no added yeast‚ starch‚ sugar‚ salt‚ wheat‚ soy‚ gluten‚ artificial colors or preservatives. As a dietary supplement for adults‚ take 4 capsules daily‚ always with at least 16 oz. of water‚ or as directed by a healthcare professional. 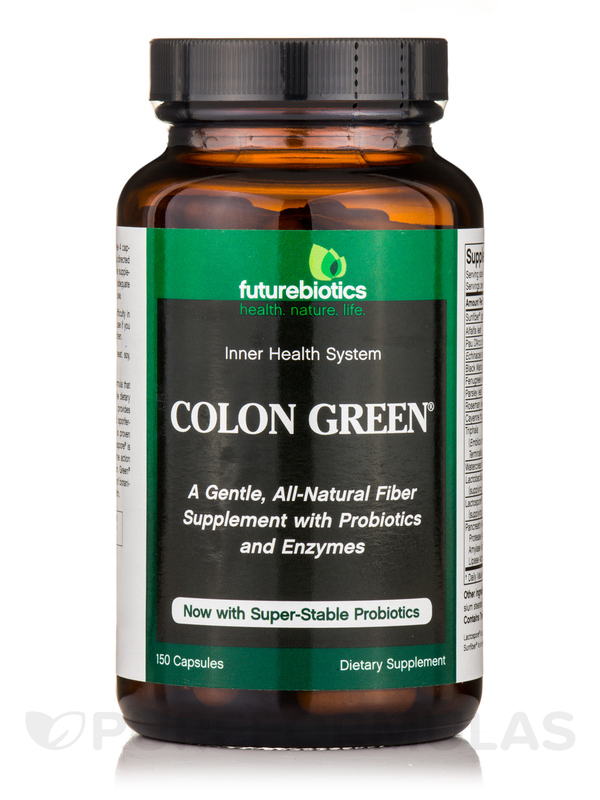 For best results‚ fiber supplements such as Colon Green® must be taken with adequate liquids. If you experience discomfort‚ discontinue use. Do not take this product if you have ever had difficulty in swallowing or have any throat problems. Allergen Caution: Contains Tree Nuts (Black Walnut).